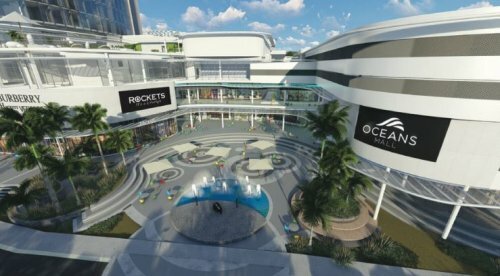 The North Coast is all set to welcome the new R1,4 billion Oceans Mall to Umhlanga. Construction of the mall is scheduled to start in February and developer Vivian Reddy this week confirmed that the 36 000 square metre building will have 103 retail outlets incorporating 22 iconic fashion brands, 12 restaurants, a supercar dealership and South Africa's first snow-park. "This is definitely going to be the most aspirational mall in KZN and will transform the lifestyle of the entire northern region with its style of luxurious, exciting shopping," he said. Reddy said many of these brands would not be available in other malls and would create what he called the "Platinum Walk at Oceans Mall." Another feature will be the central square with restaurants including Hard Rock Café, Rockets, Donatellas and Nikos and many firsts for Durban. Anchor tenants will include Woolworths, Dis-Chem and Checkers. "It is also unique because of SA's first snow park and an ice bar. Visitors will be able to frolic in the snow, quench their thirst and satisfy their hunger pangs in plush restaurants and then walk across the street and dive into the ocean and enjoy the pristine Umhlanga promenade and beach." Reddy said the project, which will take 18 months to complete, is expected to create 500 direct and 2000 indirect jobs. He assured that complications arising from the liquidation of a contractor on site have now been resolved and new contractors are being appointed. Once complete, Oceans Umhlanga will deliver four spectacular buildings: a 36 000 square metre shopping mall, two residential towers with 488 apartments, a 207 room five-star Radisson BLU hotel with major conference facilities and 65 hotel apartments. The entire development will contain 2500 parking bays. The mall is already attracting the interest of both national and international retailers, with 75 percent already let. City manager, Sipho Nzuzu said the eThekwini Municipality was looking forward to the mall with its potential socio-economic impact in the region. "It is well-known that Durban is one of the fastest developing metros in South Africa. We are continuously drawing big spenders, who want to take advantage of the warm weather and fantastic tourism infrastructure. This mall will clearly satisfy their needs."